Drug Accountability Is the one thing that everyone looks at and everyone ignores in clinical trials. I don’t know how many times I have read in a monitor’s report that “drug accountability not done due to time restraints.” Yet consistently “test article accountability” (as FDA refers to it) is one of the top findings on a Form FDA 483, Inspectional Observations, issued for clinical trials. In this Guest Commentary pharmacist Roberta Wong outlines the basics for clinical trial professionals. She concludes with six issues for clinical trial sites to consider. She is a consultant to biopharmaceutical companies and teaches at the Pharmaceutical BioEngineering Program at the University of Washington. It’s not exciting, it’s not cutting edge. It may be the last thing you think about when preparing for an FDA audit. You might scan the records and figure if all the lines are filled in, it must be okay. Or, the auditor might not look at it, so I will trust that the pharmacist did it correctly. After all, aren’t pharmacists one of the most trusted professions? Consider this: if drug accountability is in question, then the whole study could be in jeopardy. Proving that the drug was administered to the patient that resulted in the effects seen from study drug is a key factor in determining the merit of a product candidate. The FDA has listed drug accountability as #3 in a list of top 5 pitfalls. The FDA uses these categories for determining the seriousness of a deficiency. Sometimes, minor sloppiness is due to poor record keeping. This can be corrected with training, and close follow-up to insure consistency amongst staff. Sloppiness, if bad enough, can cause removal of data from study results, impacting the overall quality of the data, and the integrity of the study conduct. Often unintentional, lack of attention to detail, and not understanding the importance of accurate recordkeeping in the drug application can contribute to a clinical trial site’s data being thrown out of a sponsor’s application. Training staff at the study initiation visit and checking the quality of the work during the course of the study is critical for good record keeping to be maintained during the clinical trial. Staff can change, so retraining may be needed as new staff members are added to an ongoing study. On the other hand, some inconsistencies in drug accountability can be due to a true intent to deceive. 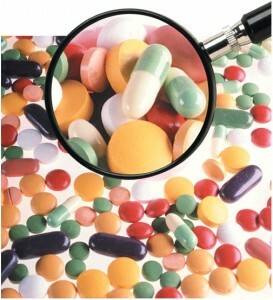 Drug supplies that are listed as destroyed, lost, or dropped, can be traced to individuals diverting supplies for themselves, or with the intent on selling study drug to other individuals. Investigational drugs can also be switched in an attempt to give drug preferentially to certain patients, if there is also a placebo as part of the study. Limiting access to investigational drugs is a key role for the pharmacist in studies conducted at large institutions. At smaller sites, or individual physician’s offices, study drug may be held by research or nursing staff. In these situations, limiting access and providing locked security for study drugs is required by the study sponsor. So, what happens when a clinical trial site has drug accountability problems? If this occurs during a clinical trial, the Sponsor will stop new drug shipments, and may suspend study enrollment temporarily. Visits to the site by the sponsor will ascertain the cause of the problem, and determine if re-training will prevent future issues. During this investigation, reviewing the records with the study coordinator and the prinicipal investigator are imperative. And of course, documentation of any meetings with site staff summarizing the corrective action is essential. Ongoing audits for the remainder of the trial will demonstrate that the interventions were successful, and the site is now compliant in maintaining accurate drug accountability. "Shooting the Dice" with Your Clinical Trial? Drug accountability is more than just counting pills and vials. Site staff must insure that the study subject receives the study drug, and receives the correct dosage. 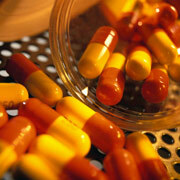 There should be documentation to support drug administration. If the patient self-administers study drug, often diaries and pill vials are collected to validate the administration of study drug. If the drug is administered at a clinic visit, there are often forms to complete to verify the dosage that was given to a study subject. How can you avoid problems with drug accountability? First, make sure that all involved in the study are consistent with their documentation. Make sure that the records are completed with the drug dose, patient, date, time and individual removing drug from the central inventory. If study drug is administered in the clinic, the worksheet should note the date, and actual time that the drug was given. If drug is not administered, even though a dose was prepared, then a note should record that drug was destroyed. If study drugs require refrigeration, then the accountability records should have a place to note the temperature. Lastly, issues with accountability need to be addressed quickly and a solution determined. Vigilance in accurate documentation will insure minimal issues. Making sure the patient received the proper dose is one more way to insure that well-run clinical trials produce good quality data. How do you know if your system is set up to produce good drug accountability? Here are some questions that you can answer about your study. 1. Did the patient receive the proper dose? How do you know? 2. Did the Physician calculate the correct dose? Who double checked the calculation? Is it weight-based? Is the dose calculated at study enrollment? Is the dose recalculated based on the patient’s baseline weight or dose the dose change only if the weight changes by 10%? 4. Drug was prepared for a patient who was a no show, but promised to come in the next day. Can you save the prepared dose and administer it the next day? 5. 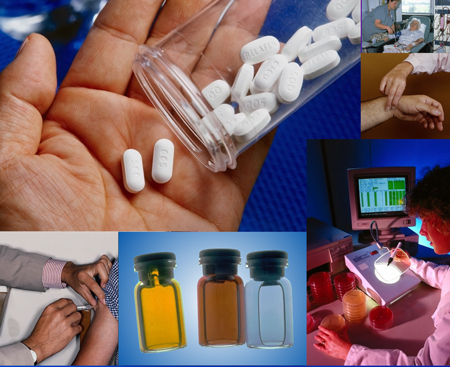 Does your clinical trial allow documentation of these issues in the study records? 6. For study drug accountability, who resolves new issues? Where do you record your answer? How do you train the rest of the staff regarding this issue? This entry was posted on Thursday, January 19th, 2012 at 5:23 AM and is filed under Clinical Trials. You can follow any responses to this entry through the RSS 2.0 feed. You can leave a response, or trackback from your own site. This is a great article! I learned a lot! Great article! The information is presented in a very informative way that should benefit novices as well as provide a useful review for experienced researchers and thier staff. THANK YOU! I think that Dana and Robyn are right on the mark. I’ve worked with Robbie and she is top notch. Excellent article. I am working on a trial right now that has “run out of study IP”! The sponsor’s solution to this is to break open the labeled boxes of IP, pull out the unlabeled plastic vials of study drug, and ship smaller batches of UNLABELED IP in plastic bags to each of the sites, with no labeling or identification whatsoever. I’ve questioned how this could possibly be acceptable, but have been told “everything should be OK”. Am I wrong to see this as a potential train wreck in the making? Sec. 312.6 Labeling of an investigational new drug. (b) The label or labeling of an investigational new drug shall not bear any statement that is false or misleading in any particular and shall not represent that the investigational new drug is safe or effective for the purposes for which it is being investigated. (c) The appropriate FDA Center Director, according to the procedures set forth in 201.26 or 610.68 of this chapter, may grant an exception or alternative to the provision in paragraph (a) of this section, to the extent that this provision is not explicitly required by statute, for specified lots, batches, or other units of a human drug product that is or will be included in the Strategic National Stockpile.